The B+B stainless steel screw in probe with connection cable characterize with their high reliability, their security and their easily cleaned surface. 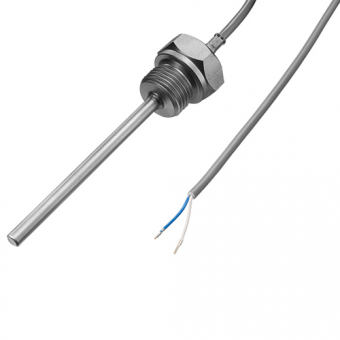 Screw-in probes with connection cable are preferably used in liquid and gaseous media, where high density in under- and overpressure conditions is required. The high quality silicon or PVC connection cables are temperature-resistant up to 180 °C (silicon) and 105 °C (PVC). The transition from cable to thread is dust- and waterproof as per IP65.